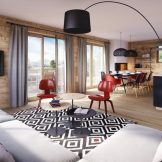 Skiingproperty.com is delighted to offer these ski-in ski-out apartments, which are nestled amongst beautiful natural surroundings on the 265 kilometres of slopes of Grand Massif. Perched at 1,140m above sea level, the village of Les Carroz d'Araches is one of those authentic and rare places, privileged by nature and preserved by man. 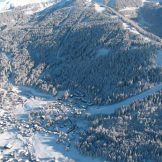 Large buildings here are replaced by small, charming Savoyard chalets with an authentic alpine architecture. There are many activities available in both summer and in winter to make your stay unforgettable no matter the season. This project, however, is still only a few minutes walk from the lively streets of the resort with its many restaurants and traditional shops. The apartments for sale range from one to four bedrooms and have spacious areas between 47 and 131 sqm. 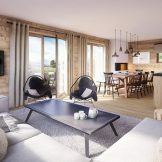 Set in six distinct chalet-style buildings, these properties have high-quality finishes and fittings worthy of the most luxurious residences in the Alps. Some of these properties can even benefit from a private Jacuzzi on the balcony with panoramic views of the surrounding peaks. Besides the architecture, which combines tradition and modernity, perfectly fitting in a village often considered as the most charming of the region. 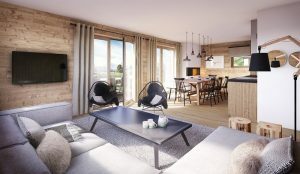 These wonderful homes enjoy above all an incredible location, in a quiet part of the village up from the centre and this residence stands between forests and ski slopes to offer owners the utmost privacy as well as the luxury of skiing in and out from the building. 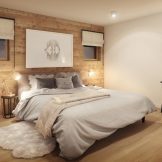 Constructed with maximum comfort in mind, these apartments come fully furnished to allow future owners to move in immediately upon completion. In order to make each property unique, there is a choice between different furnishings and decoration packs available. 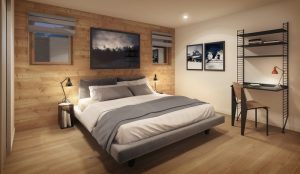 Four design styles with unique atmospheres are available so that everyone can find the one that corresponds to them: classic, modern, Nordic or mountain. 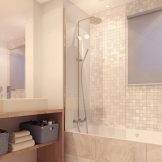 Many options such as the fireplace, kitchen and bathroom types offered to complement the property. 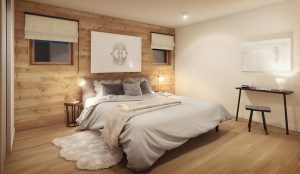 Whatever the style chosen, special attention has been paid to associations of materials such as wood and other natural materials in line with the mountain architecture of tomorrow. This residence offers an excellent opportunity to combine leisure and real estate investment. Moreover, if you want to rent your apartment without worry or hassle, there is the option of signing a management mandate with one of the local partners. Through this service, rental income is guaranteed throughout the lease without having to worry about the management of your property. The rental management agency will take care of finding and welcoming customers during hire periods as well as maintaining the apartment and premises. A wide range of hotel and concierge services will also be taken care of by the rental management service. 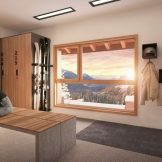 In addition a private garage, ski storage room and storage space are also included with the purchase of a property. 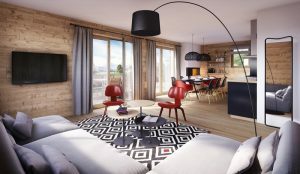 One to four bedroom apartments, 47 to 131 square metres, priced from 292,000 to 789,000 euros.